the local list: my wacky, windy weekend. I started out my weekend with a girl's night out at Crow's Bar. I've been before and cannot recommend the food more. 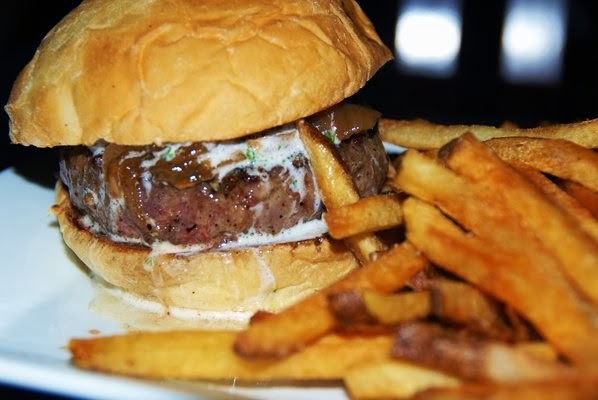 The burger and duck fat fries are a must have. 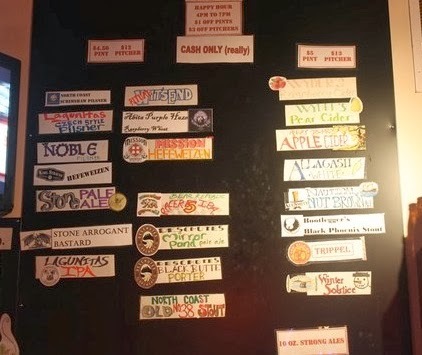 They also have a crazy variety of craft beer and wines. And the happy hour there is such a deal. I unfortunately decided to get the halibut sandwich and GREATLY regret that decision. But I devoured my fries so didn't starve! Saturday I tried something new and walked a 5k at Anaheim Stadium. It was for the American Heart Association. It was SO crowded, but it was fun because we got to walk on the field. This is the fourth stadium I have walked on (Wrigley, Dodgers, Fenway). The OC Marathon is coming up in May and I think I may sign up for the 10k...is anyone else running this? After walking, we had to treat ourselves so we went to Anthill Pub. If you haven't been it is a great place to check out for beers. Also the sweet potato fries are bomb. 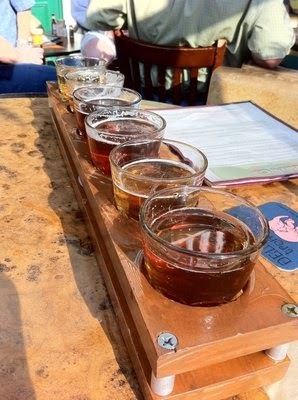 It is located on UCI campus so you will have to deal with some weird grad students, and frat boys that have had one to many pints, but the beer selection is great and they even have some wine. Tip: its cash only. Our last spot for the weekend was Newport Peninsula. My old stomping ground - when I was young and naive and cheap. 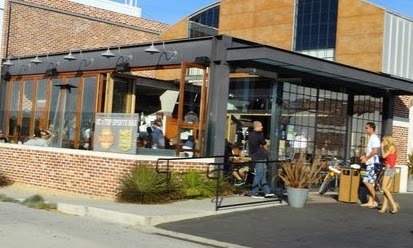 I met a big group of friends at Newport Beach Brewing Company for a birthday party. I cannot tell you how much I despise this place. The college kids like it because they have a special beer and a shot deal for about $7. The beer, however, is disgusting. Not only that, the shots are worse than well and are warm. The place is so crowded you can't move, and smokers sit on the patio and the smoke comes straight into the hot, sticky room. Did I mention I hate this place? If you want a place to go out there are other options. Rudy's has dancing, Malarky's has darts and pitchers, Mutt's has scooners, and the District isn't bad. But if you are like me and are over the age of 25, its probably best you don't come down here and just go to places like Costa Mesa or Santa Ana.